Yoga increases the effectiveness of chiropractic treatment hasn’t taken the world by storm, but it has gained steadily in popularity in the last decade. Originally developed thousands of years ago, the practice of breathing, posing, and stretching offers a variety of important health benefits. Reduced stress and blood pressure, increased flexibility and stamina, greater balance, and a better understanding of breathing techniques are all fabulous results of practicing yoga. Practicing yoga stretches and elongates the body’s muscles, releasing tension and stress. Before patients visit their chiropractors, yoga can serve to warm up their bodies and clarify their minds, so the chiropractor can dig into the root problem. Yoga complements chiropractic treatment by readying the body to heal itself. Depending on the severity of the individual’s specific condition, chiropractic patients may need several visits to “prep” their bodies before the main issue can even be addressed. Yoga sessions increase a body’s flexibility and help with the range of motion in the neck, back, hips, and other joints. By going into a chiropractic treatment equipped with better range of motion, the patient is more pliable, and the visit is able to offer more in-depth adjustments, for greater results. 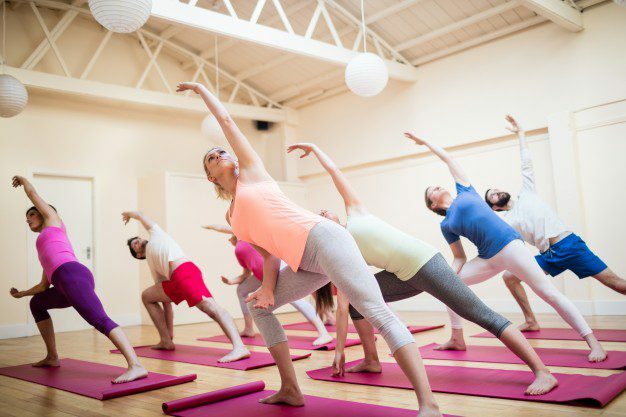 Yoga has long been touted as the answer for many of the body’s issues, and it’s smart for individuals, whether dealing with current issues or in prime health, to check out the basics of yoga. Chiropractic care coupled with yoga offers a great many benefits to patients who are dealing with medical conditions or injury. Ask your chiropractor for an evaluation of your health issues, and whether adding yoga to your overall health plan would help you lead a better, more active life.